Trusting God for what’s next! Sooooo Lord. I’m not sure what’s next? I’m not sure where should I go? I’m not sure what I should do? Sound familiar? Hmmm, I’m pretty sure I’m not the only one who’s had this conversation with God. That desperate yearning for clarity and understanding. Why did that situation happen? Why do I feel like this? Was it a learning curve or am I just an idiot? Test? Trial? And if so did I pass? We have sooooo many questions for God to answer and if he doesn’t answer them at the right time with the right answer our faith begins to get nibbled away and slowly but surely we begin to attempt to find our own answers or justifications for situations in life. Cool God, if things don’t look or sound the way I think they should then I’ll just go ahead and find my own answers and plan my own life! From the moment we decide to make that decision it’s pretty much downhill from there! See what I’ve slowly come to understand in my short lifetime is that the Christian walk is ALL about and solely based upon continually trusting God! 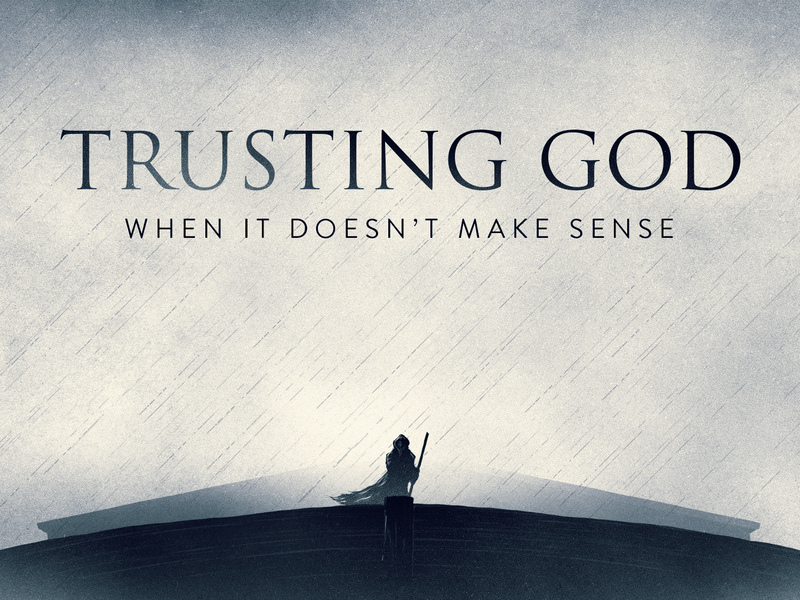 What does it mean to trust God? It’s believing in Him, waiting on Him and trusting in Him in your situation, seeking Him for the next step for where you should be and what you should do! So now tell me, how are you supposed to fulfil purpose and carry out your assignment if you are planning out every last detail of your life and not even giving God a chance to look over your notes. Let go of the situation. Let go of the worries and trust God. Granted it’s not an easy thing to let go of your life, let go of your plans, let go of your worries and trust God but it’s actually what is required of us. Luke 9:24 : If you try to hang on to your life, you will lose it. But if you give up your life for my sake, you will save it. It is a requirement for us to let go of our lives and give over to God’s plans. This is where trust in God becomes the Ultimate factor! One of my sisters once explained that trusting God is like literally free-falling not knowing how your going to land or where you’re going to land but knowing God has caught you, not will catch you but knowing that He has already caught you. God has written much bigger plans for your life than you could ever write. Jeremiah 1:5 says that before you were formed in your mother’s womb, before you even existed God had a plan for you. God didn’t just make you and leave you on this earth to find your way. He has a plan for you. Shake of the typical life for a second. Shake of how the world says you should be and consider Him. If we could only just trust that our creator knows us more than we know ourselves, if only we could trust that God is the author of our lives and has written every single chapter for His glory and for our good. So in a nutshell trust God. Trust Him with your plans, trust Him with your situation…Trust that He is God.